These cutters, made in Solingen, Germany have blades hardened to a Rockwell C rating of 55, the result is the hardest, sharpest blade you can buy. The body retains the classic XIKAR shape and features a lightweight nylon fiberglass composite in red or black. 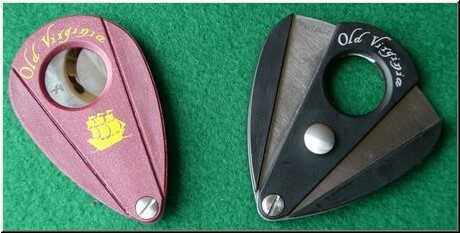 All Xikar cutters are the same ring gauge: they will cut a 54 ring gauge cigar in half.